1. 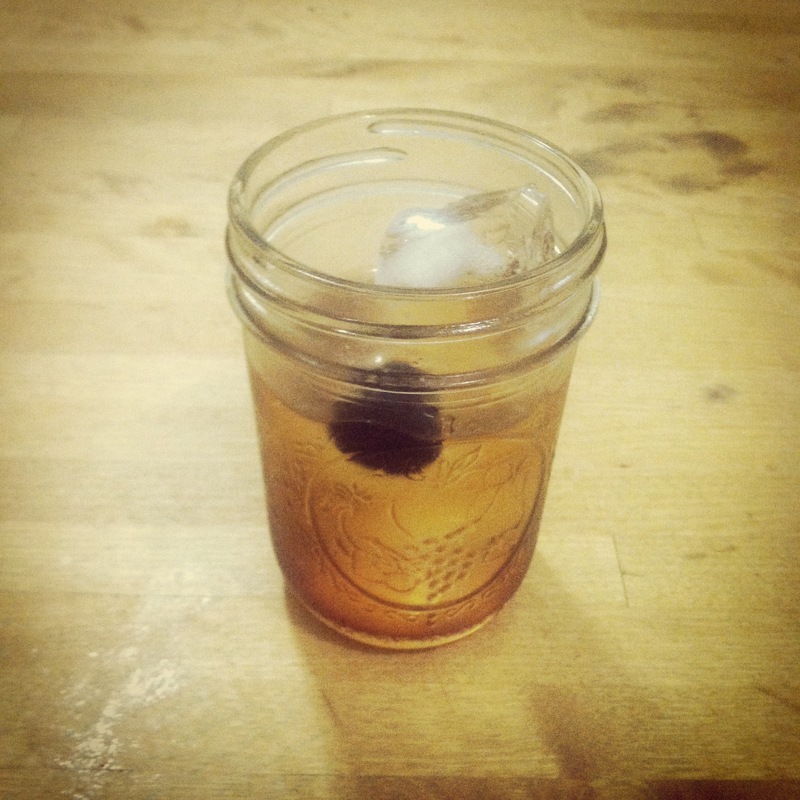 With the exception of Old Fashioneds and Sazeracs, “Build-In-Glass” drinks should ALWAYS be in Mason Jars. If you’re just gonna pour everything into the drinking glass, stir it a few times and serve it, don’t use a fancy glass. Use a Mason Jar! Same goes for any drink with a Dirty Pour (everything from the shaker goes straight into the cocktail, ice and all), or any type of Smash. I know that living in the deep South for ten years may have influenced this point of view, but I stand firmly in my beliefs! 2. The Diamondback Cocktail packs a particularly powerful punch! It’s a knock out for sure! Especially if you were to use a spicy rye like George Dickel Rye. Well, WOO! You just might shoot off like a rocket! This drink is a great slow sipper due to its boozy boozy qualities. Remember kids, Chartreuse Vert is 110 Proof. Build in glass with ice. Stir a few times and garnish with Maraschino Cherry. Easy peasy, definitely NOT breezy. Good luck! You’ve been warned. Thanks Rufus! I feel the same way!